Dr. Shaham was born and raised in Los Angeles, California, graduating from the Hamilton High School Academy of Music. She spent many weekends accompanying her mother, who is a pediatric rheumatologist, to see kids at CHLA, giving her some extra insight into how medicine has changed over the past 40 years. She received her Bachelor’s degree with honors from the University of California at Berkeley, majoring in Inter-Disciplinary Studies, Environmental Science. Afterwards she obtained her Master’s degree in Regulatory Science from the University of Southern California School of Pharmacy. This led to a position in clinical research at Children’s Hospital Los Angeles. While working there, Cigal realized research was not enough for her and she decided to go to medical school. Dr. Shaham says, “I love medicine because it allows me to be a scientist, teacher, and detective every day, as well as help the next generation of children grow up healthy and happy.” Dr. Shaham received her M.D. from the Ben-Gurion University Medical School for International Health in Collaboration with Columbia University Medical Center. Upon graduation she was presented with the Dean’s Award for Outstanding Contribution to the Medical School for International Health. The school has an outstanding emphasis on clinical skills, as well as allowing her to work with diverse populations, including a short time in Ethiopia, and a senior project with the Bedouin community in Southern Israel. Dr. Shaham’s internship and residency in pediatrics were completed at Maria Fareri Children’s Hospital, Westchester Medical Center, New York Medical College, where she was their American Academy of Pediatrics Delegate. She was honored to have received the Pediatric Residency Leadership Award. 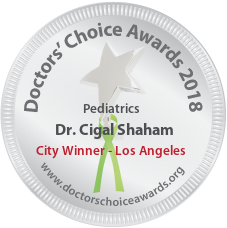 After completing her training, Dr. Shaham was overjoyed to move back to Los Angeles with her family, and obtain privileges at Cedars-Sinai Medical Center, where she sees newborn babies. She spent the first 5 and a half years working with Dr. Guy Efron and Dr. Kimberly Klausner at Roxbury Pediatrics in Beverly Hills. Dr. Shaham is now practicing with Dr. Monica Asnani at Miracle Mile Pediatrics. Dr. Shaham feels lucky to have a wonderful, supportive husband, and a beautiful son, who teaches her something new each day. She is licensed by the Medical Board of California and certified by the American Board of Pediatrics. She is a fellow of the American Academy of Pediatrics, and an active member of the Los Angeles Pediatric Society. She speaks fluent Hebrew and basic Spanish. Dr. Shaham spends her spare time being the Class Mom, watching her son do Kung-Fu, building structures and inventing science projects with him, reading fiction, wasting time on the internet, and exploring Los Angeles. 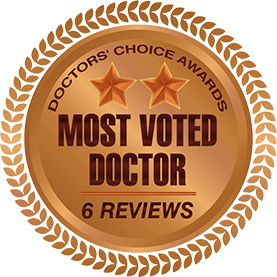 Dr. Shaham is a kind physician who takes time with each of her patients and is knowledgeable in evidence based medicine. She is an advocate for her patients. 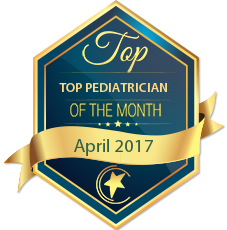 Dr. Shaham is a wonderful pediatrician who truly cares for her patients. She takes the time to talk to parents and play with her little patients to make their experiences positive. 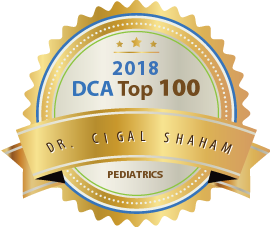 Dr. Shaham is an amazing, highly trained and competent pediatrician. Always up to date with the latest evidence-based practices, added to a loving and sweet nature that charms kids. Dr. Shaham is exceptionally knowledgeable in general pediatrics. She has helped me numerous times with tricky diagnoses. She is thorough and kind with children of all ages, and shifts between diverse families – regardless of socioeconomic status, ethnicity, or education level. She makes sure that parents understand clearly the plan for the medical care of their children, and is kind and well spoken. Dr Shaham is a wonderful pediatrician who practices evidence based medicine. 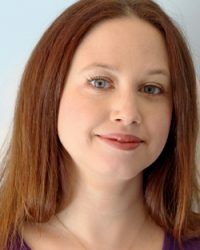 She is kind and gentle with her patients, and provides an excellent clinical experience. Any child would be lucky to have her as a patient. Dr Shaham is professional, knowledgeable & compassionate. She is well read & up to date in addition to being very kind.